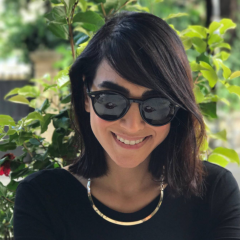 Mahsa Alimardani is the Iran editor for Global Voices as well as an Iranian-Canadian Internet researcher. Her focus is on the intersection of technology and human rights, especially as it pertains to freedom of expression and access to information inside Iran. She holds a Honours Bachelor of Arts and Science in Political Science from the University of Toronto, and has completed her Research Masters at the University of Amsterdam, researching the Iranian Internet. She's currently working on her DPhil at the Oxford Internet Institute at the University of Amsterdam, while working on Article 19's Iran digital programmes. Spotify and Soundcloud are now accessible for Iranians. "In the name of God, I have got election stress. Conditions for moderates have now deteriorated." In order to counter the hateful rhetoric between their governments, Iranians make #LoveBeyondFlag, in gratitude towards American protesters who stood against Trump's travel ban go viral. A crowdsourced database started by an Iranian MIT professor offers a snapshot of the impact of Trump's ban on Iranian nationals. "Memories of buying special clothes and fish, now it has all collapsed"
The campaign to free civil rights defender Arash Sadeghi has reached a critical point. Two months into his hunger strike, many worry Sadeghi's life is on the line.